Five one-eyed revolutionaries, notorious for their raids on rich people, plan an ingenious vengeance on the man who caused their disgrace. 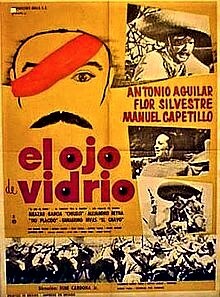 One-eyed revolutionary leader Porfirio Alcal叩 and his four cousins become notorious for raiding affluent landlords and ransacking federal ammunition, meanwhile participating in the Mexican Revolution. After many adventures, the five one-eyed revolutionaries plan vengeance on the man who caused their disgrace not before meeting two beautiful women and a talented theater actor who help them along their way. Five one-eyed revolutionaries, notorious for their raids on rich people, plan an ingenious vengeance on the man who caused their disgrace.